Looking for luxury mountain homes or properties in Western North Carolina? This is the ideal site that has a comprehensive list of regional real estate and a detailed search so you can find every listing available. 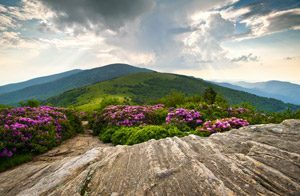 The agents at The Mountain Group at Premier Sotheby’s International Realty of Banner Elk will provide you with the local knowledge and expertise you’ll need. Whether you plan to relocate here, establish a vacation home, or are looking for your next investment, we can help you with all your realty needs. Luxury mountain real estate is plentiful in the Blue Ridge Mountains of North Carolina. It’s a beautiful place to experience on a daily basis, one many enjoy calling home. There is no better time to search for and pursue the dream home you have always wanted. Here you can find remarkable real estate. From a golf course estate to an alpine chalet, you’ll browse Western NC’s finest. From the comfort of your home or office, spend a few minutes exploring the properties listed, and call when you’re ready to make it happen. Our area of the High Country provides many picturesque settings for exquisite homes. The surrounding mountains, woods, valleys, and views create a backdrop like no other. This market contains some of the premium mountain homes available anywhere in the state. Each one is unique, and the options are endless. You’ll see log cabins scattered across the countryside, Victorian homes strategically placed, farmhouses atop large tracts of land, and the list goes on. Buying one of these beautiful luxury mountain homes is like living in masterpiece. One may have not been created originally for you, but you were meant to make it your own. Discover your piece of the Blue Ridge Mountains right here. With just a few clicks, you could be narrowing down options for luxury mountain homes. Are you ready to chase your dream?